Jill has an unwavering enthusiasm for property management. This enthusiasm is infectious and makes the office full of excitement and drive. Jill is extremely conscientious and has a keen eye for detail – always ensuring our owners receive accurate and timely reports on their investments. Being a Hibiscus Coast local means Jill knows & loves the area. 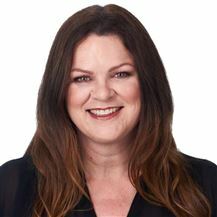 Jills passion for the area, her professional approach & her property management experience helps the Orewa office deliver extraordinary outcomes and award winning results. Nicki has had a varied career that has always been centred on people and providing exceptional customer service. An experienced property manager (in the industry since 2012) Nicki knows what it takes to successfully manage a large portfolio of properties. Nicki spent 9 years as a Flight Attendant with Air New Zealand and also trained to be a Counsellor/Family Therapist. Both of these roles have provided her with the skills to be able work well under pressure while providing exceptional service to her clients. Her people skills are excellent and she prides herself in having a special ability to build cooperative relationships that flourish.